Updated Sunday August 19, 2018 by Stan Dorsey. 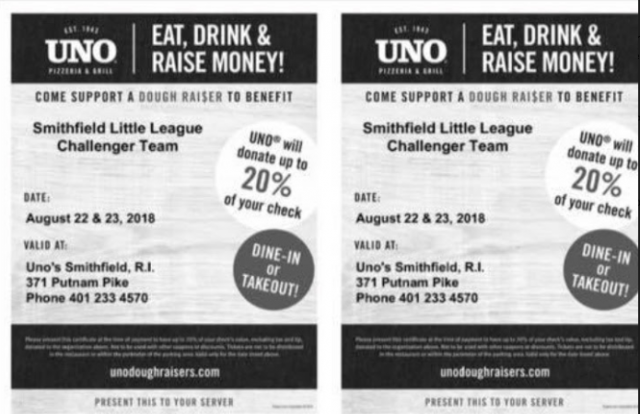 Eat at Pizzeria Uno's in Smithfield Crossing on Aug. 22 & 23 and support our Challenger Division in the process. 20% of all proceeds on those two days will be donated to SLL in support of Challengers, which allows girls and boys with special needs to enjoy the game of baseball. Just present the coupon below to your server.